Oh, Margy, you never cease to amaze me. Just when I think your inventiveness has reached an all-time high, you surpass it. You are a very talented gardener and a very creative thinker, a winning combination for sure! 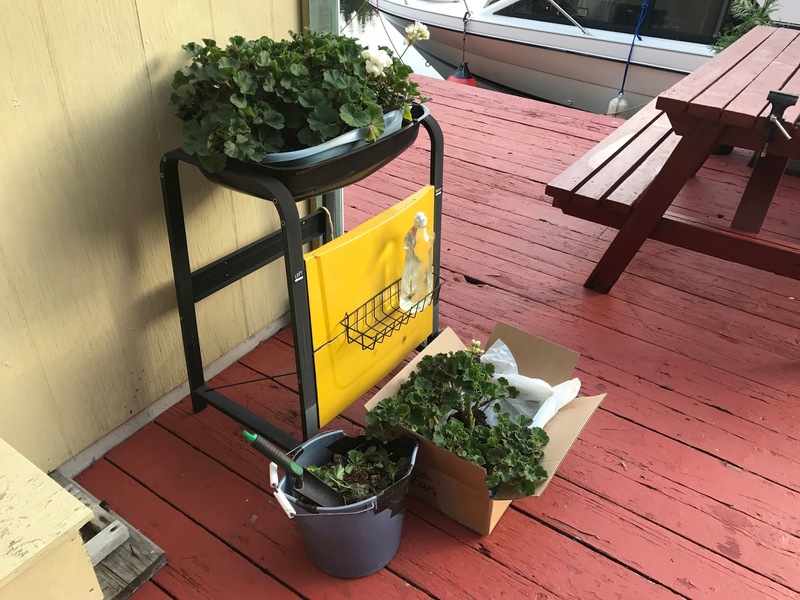 Geraniums were never a favorite until we moved to central Oregon. They take the heat, seem to be bug proof, deer proof and very forgiving. 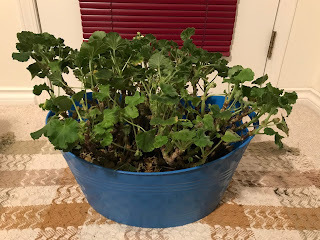 I have six large hanging pots of them wintering over right now. Three are in our shop bathroom on a plant hanger and three are in the garage. I usually get maybe three seasons out of a plant before it starts to look scraggly. At that point you can take cuttings and root new ones but I have had some start from seed that had fallen from the pots, so have not done any cuttings yet. I usually can take mine indoors to a shed & leave near the window, watering occasionally as our winter temperatures are not too low. I do not overwinter my geraniums. I don't have a place to put them. I do love geraniums though and buy new ones every year so I try to get the best price on them.